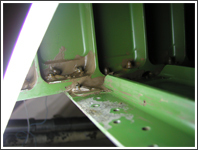 Aircraft fuel tank repair is often needed after corrosion has occurred. 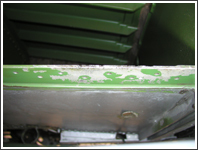 Aircraft fuel tank corrosion occurs on steel and aluminum surfaces and is caused by microbial growth at a stagnant water-fuel interface. 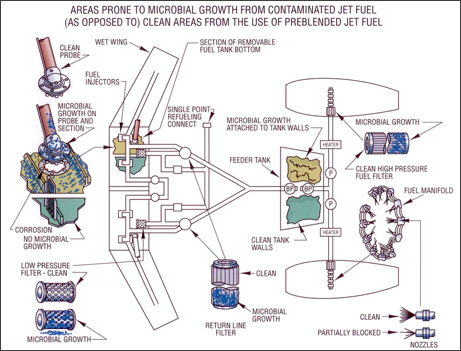 Certain bacteria and fungi are capable of existing in the water at the aircraft fuel surface, and if left untreated, can cause aircraft fuel tank corrosion. The growth of microorganisms in petroleum products is known to cause fouling, malfunction and corrosion in storage tanks, airfield equipment, pipelines, airframes and engines. 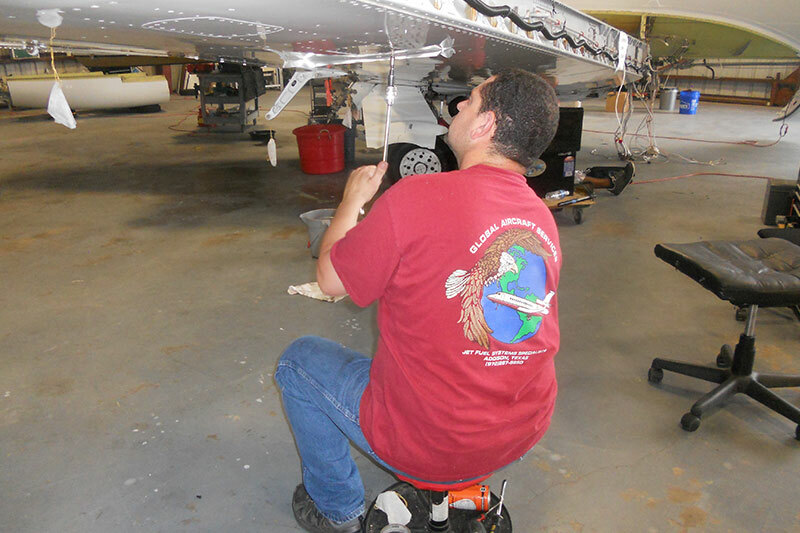 Rather than waiting until you have big problems with rusty fuel tank and microbial growth, call Global Aircraft Service and schedule regular inspections to ensure that everything is clean and in working order. Putting it off may result in widespread and costly damage. 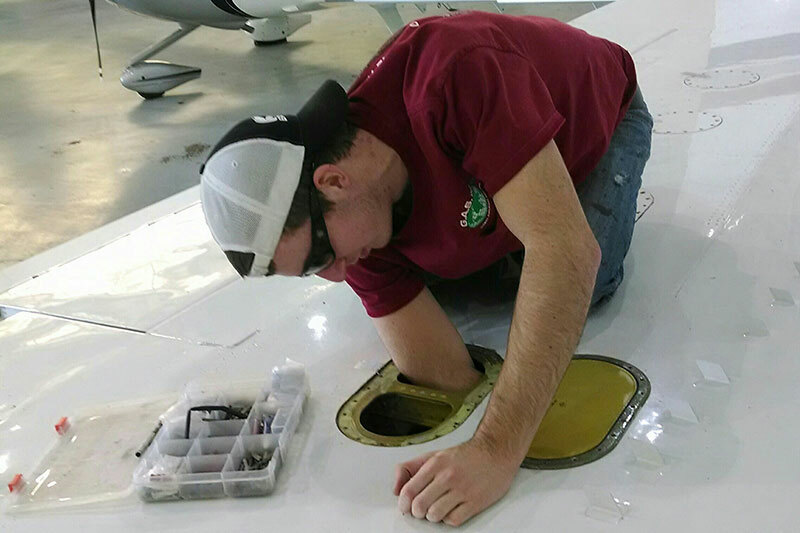 During your scheduled inspection, our team of experts checks for any microbial growth and signs of aircraft fuel tank corrosion in your fuel cells/integral tanks, and we provide you with a report of potential problems that can be hazardous to the entire aircraft. We also provide other related services, such as fuel tank leak detection and repair, pre-purchase inspections and bladder inspection/replacement. Our goal is to conduct the necessary inspections, repairs and maintenance services in a professional manner while minimizing your down time. We’re available to come to your location or you can come to our facility in Texas, which can accommodate most medium sized corporate aircraft. Check our Capabilities List and Contact Global Aircraft Service today and find out more about aircraft fuel tank corrosion detection and aircraft fuel tank repair services. We look forward to hearing from you!